On the road to Mexico for 2014! Well. I haven’t posted in a while and I know I left everyone wondering what we are up to and how the crew are doing, especially Dave after his crash. I’m glad to report that Dave is much better and even though he’s had ongoing surgeries and lost some range of motion he is ok. 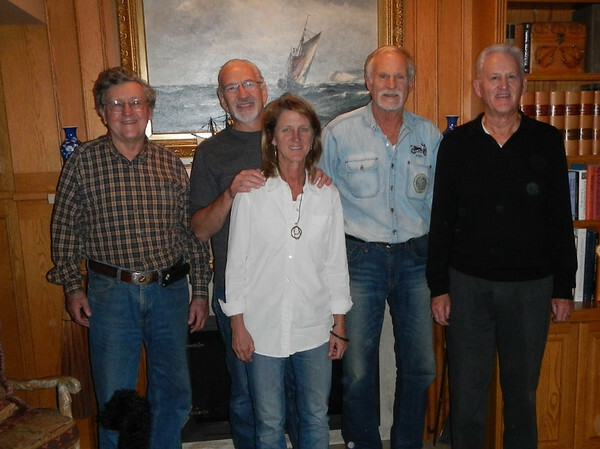 In September we had a reunion of the MotoRaidII team at Keith’s house and I managed to get this picture. Unfortunately amigo number 6, Michael, could not be there. From left to right is Dave, Donn, Deby, Jim and Keith.